Maximum of 45 Players for a game. Fitness program: INR 3000/- per month. 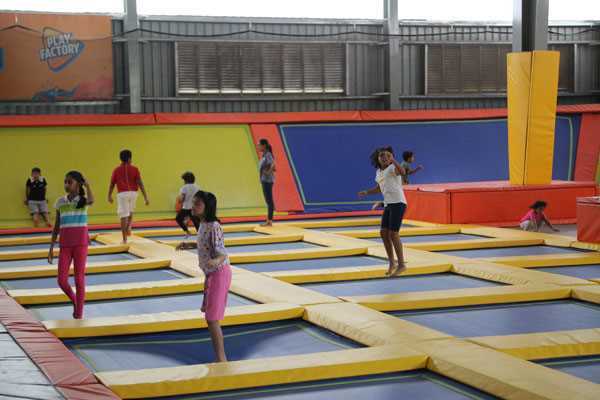 A Large format of multiple trampolines connected together which enables a person /group to indulge and experience peer thrill by Jumping up to 20 feet up in the air on the safest trampoline set up. 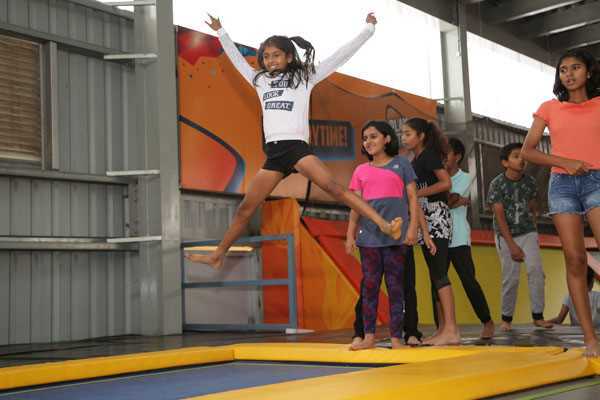 (Fitness for Fun) A fun and out of the world experience first of its kind in India brings out a lot of smiles and the CHILD in you. A must try activity for age groups beginning from 5 years. 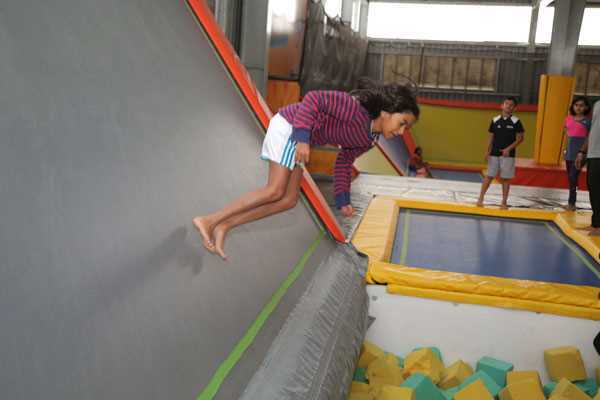 Thrill yourself and get Fit by working on your complete body , 10 minutes of trampoline can give you the same calorie loss for a 30 minutes of running on a tread mill ( by NASA ). 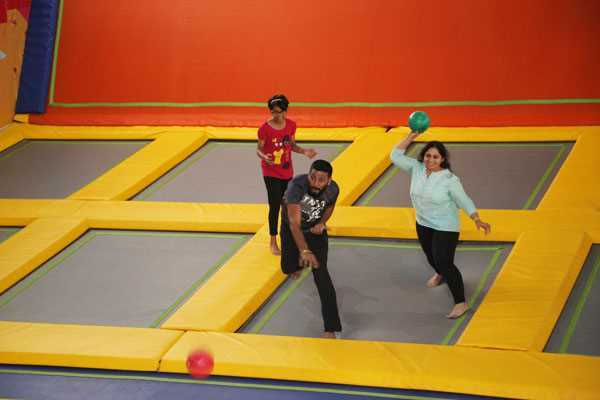 Play of game of trampoline Dodge Ball with your buddies (4-8 a side) and even have a chance to hit a soft ball on your colleague who has got better credits than you (FUN CORPORATE REVENGE). 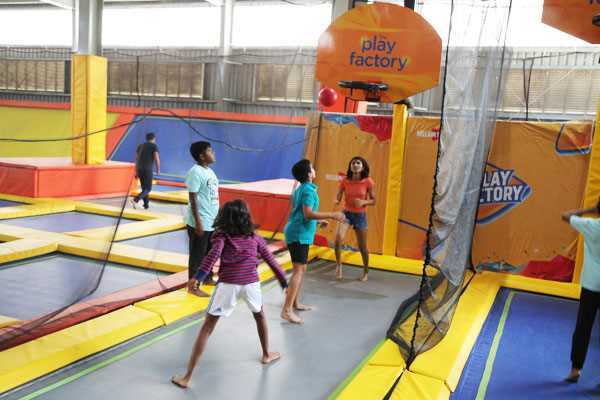 Shot like a Star or Dunk like JORDAN on our trampoline Slam dunk Arena. 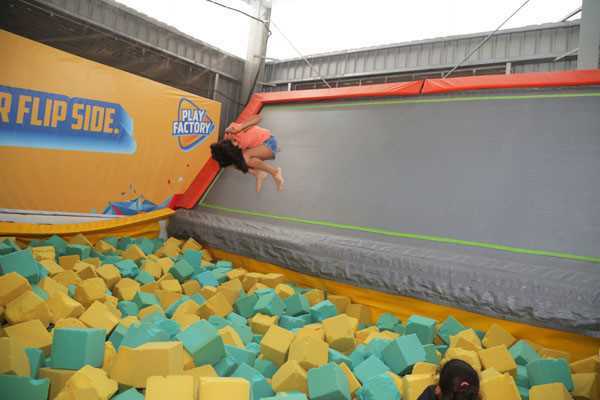 Show your dunking skills by reaching above the Ring level by jumping on the trampoline. Dare to drop from a height? On one of its kind where one could dive into a pool of foams and still enjoy the fall. A dare devil stunt to jump off to the pit by jumping on the trampoline and from a diving board. 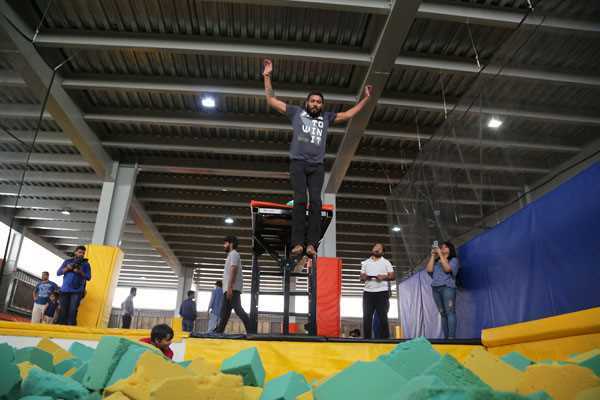 Don’t think that only action heroes can only do it, At Play Factory you become ONE. Everybody seems to be speaking about Zumba (because of its music & movement), Yoga (Because of its calmness), Cross Fit (To keep you fit and Built) but a trampoline Fitness programme beats them all.A fun fitness class would take you 30 minutes every day but would reduce your belly, Hip and a tense free work out which would keep you fresh, fit and amazing young. A totally positive approach giving you a very positive result. 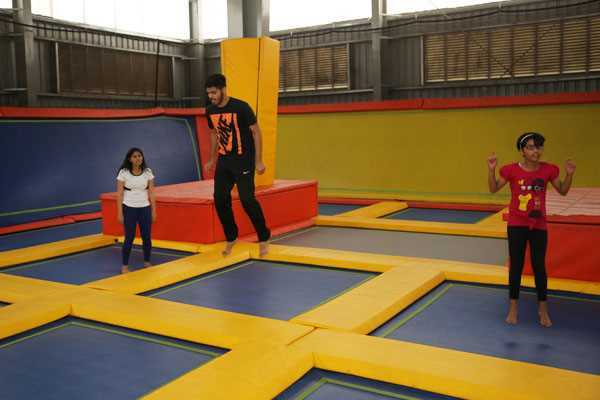 Come and try out the trampoline Fitness a total work out which relives stress, Improves cardio & Stamina and reduces unwanted FAT.